The Chrome App Launcher has presented itself in many different guises since it first hit computers back in 2013. 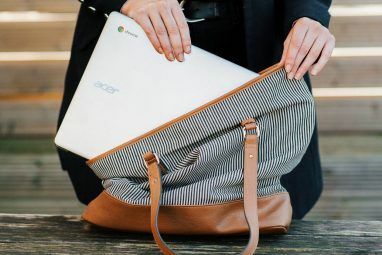 Although the launcher still exists on Chrome OS How to Make the Most out of the Chrome App Launcher How to Make the Most out of the Chrome App Launcher The Chrome App Launcher is a powerful tool that can do so much more than simply open programs. It can make a range of web-based tasks faster, easier, and more streamlined. Here's how. Read More , the desktop version of the app is now a shadow of its former self Google Kills App Launcher From Chrome; Here's Your Replacement Google Kills App Launcher From Chrome; Here's Your Replacement The little launcher containing all of your Chrome apps is being brutally killed off in favor of…nothing. Zip. Nada. 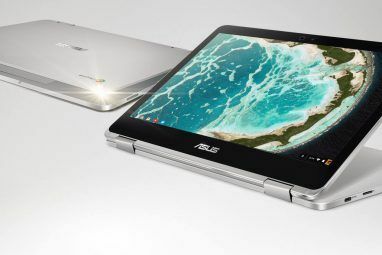 These alternatives will allow you to continue launching your apps from within Chrome. Read More . What was once a fast way to access a list of your Chrome web apps has become a mere shortcut to chrome://apps. 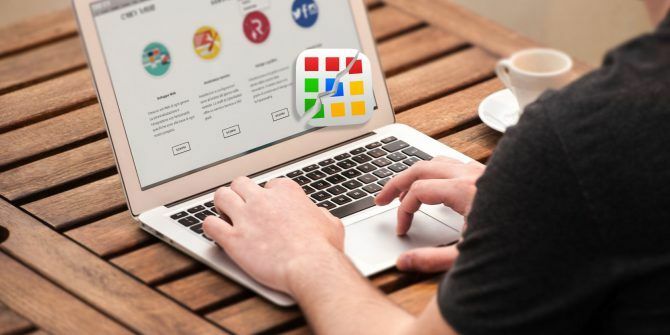 If you’re a heavy Chrome user who relies on several web apps The Best Chrome Extensions The Best Chrome Extensions A list of only the best extensions for Google Chrome, including suggestions from our readers. Read More as part of your daily workflow, you might be looking for more useful replacements. Luckily, there are several to choose from. Here are six Chrome App Launcher alternatives that’ll supercharge your productivity. Links to your Chrome web apps are now found at chrome://apps, but you don’t have to type in the unwieldy shortcut every time you want to access the list. Instead, Google offers an Apps link in the upper left-hand corner of the Chrome window. Click it, and you’ll see all your apps displayed in a grid. Although the link is functional, it has some serious drawbacks. Firstly, the link will open a new tab with the app shortcuts (rather than displaying them in a pop-up box). If you need to access your web apps several times per day, it quickly gets frustrating. Secondly, you need to have your bookmarks permanently visible to see the link. 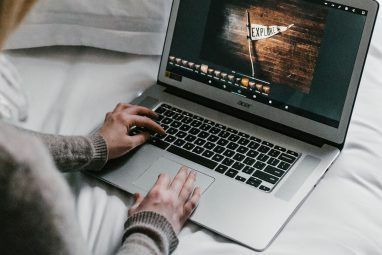 For some people, the bookmark bar is seen as unnecessary on-screen clutter 3 Quick Tips for a Better & More Useful Bookmarks Bar 3 Quick Tips for a Better & More Useful Bookmarks Bar Your browser's bookmarks bar could be even better. Here are three quick ways to improve it. Read More . If you cannot see the Apps link, click on the three vertical dots in the upper right-hand corner of Chrome and go to Bookmarks > Show bookmark bar. Then, right-click on the bookmark bar and select Show apps shortcut. First up is Apps Launcher. After installation, you’ll see a new icon in the upper-right-hand corner of Chrome. It looks like a grid. If you click on the icon, a window will pop up. Within it, you will see all your apps listed. You can drag-and-drop the apps into your preferred order, and it also includes a search function. If you have a lot of apps, you can choose to show the icons without their associated labels to save space. If you’re a power user, the most useful feature is arguably the baked-in keyboard shortcuts. Ctrl + . (period) opens the popup window, Enter launches an app, and Delete removes an app. Visually, Apps Launcher for Chrome looks similar to Apps Launcher. After you’ve installed the extension, you once again access it using a grid-esque icon in the top-right-hand corner of your browser. Your Chrome web apps are all visible in the popup window. Using the window, you can launch apps you want to use, open a specific app’s settings page, and jump straight to the app’s Chrome Web Store listing page. The window itself is much larger than the Apps Launcher window, and the icons are also significantly bigger. Your own visual preferences will determine the right app for you. The only drawback of Apps Launcher for Chrome is the lack of a search function. If you prefer a text-based launcher rather than an image-based one, you should check out Omnibox App Launcher. The app turns Chrome’s address bar into an app launcher. Once you have installed the extension, just type app [name] into the address bar to get started. Omnibox App Launcher will automatically list any apps that match your search requirements. Because Omnibox App Launcher uses the address bar, all the usual Chrome shortcuts work, including Ctrl + L to highlight the Omnibox, the Up and Down arrows to cycle through results, and Enter to select a result and launch an app. Although Awesome New Tab Page is not strictly a dedicated app launcher (it’s a glorified tab manager The 10 Best Extensions for Chrome Tab Management The 10 Best Extensions for Chrome Tab Management If you’re a multi-tasker, you love tabs. Maybe a little too much. Here are 10 extensions that will help you deal with the tab overload. Read More ), it’s still worth considering. Its usefulness as an app launcher is derived from its reliance on widgets. You can make a custom shortcut to any URL on the web using the tile editor, or you can search in the app’s widget store to find pre-existing content. The interface is entirely customizable; you can change the background, resize the apps, and change the order in which widgets and apps appear. As with the all the apps in this list, Awesome New Tab Page does have a downside. It utilizes a new tab screen, so you’ll need to fire up a blank tab every time you want to launch a web app. It’s possible to argue that AppJump App Launcher and Organizer is the best app launcher on this list. Why? Because it’s the only tool that supports groups. If you have hundreds of Chrome web apps installed, the native Google tool and the other apps we discussed make navigating through them a chore. The only other launcher that’s remotely suitable is Apps Launcher thanks to its search feature. AppJump App Launcher and Organizer lets you put as many apps as you want into groups. The groups you use frequently can even be turned into tabs that are displayed at the top of the pop-up window. Unfortunately, AppJump App Launcher and Organizer does not provide a way to resize icons or text. Which Alternative Do You Use? In this article, we’ve introduced you to Google’s native replacement for the old app launcher, as well as five alternatives. If you’re not sure which one is right for your needs, try them all and see which one has features you enjoy using. Have you tried any of our recommendations? What did you like about it? What did you hate about it? And do you know about any other app launchers we could include on this list? As always, you can leave all your opinions and suggestions in the comments below. And remember to share this article with your followers on social media. I use the Apps Launcher extension in Chrome. I like that you can organize it via drag and drop. The pop-out window is just the right size and the icon on the omnibar doesn't take up much screen real estate. I think it should be a built-in feature. If you use Linux, most Desktop Environments (if not all) should add a Chrome Apps entry in the menu. If you add a website as a desktop shortcut, it will also be available there.